I am way behind on this post, but I figured it’s better late than never. I am very keen to have these updates printed so she can look back on them one day. 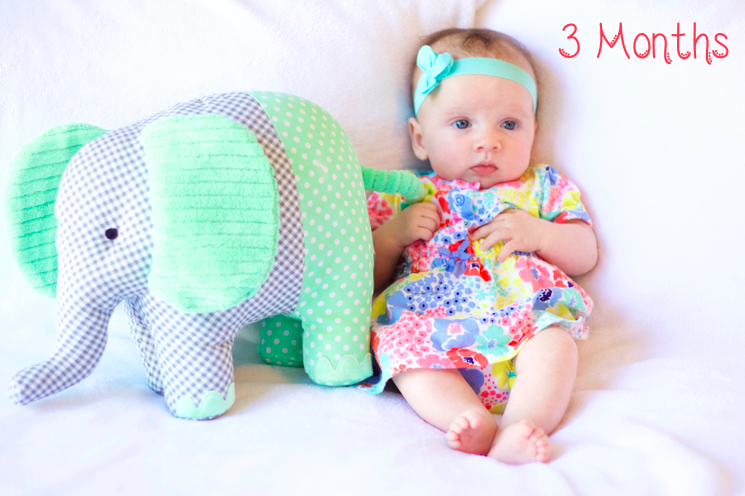 Eleanor turned 3 months about 10 days ago. Time is so different when you have a child. Because of how quickly they change – week-to-week – it feels like months go by when in reality, only weeks have gone by. It blows my mind that she’s already 14 weeks. 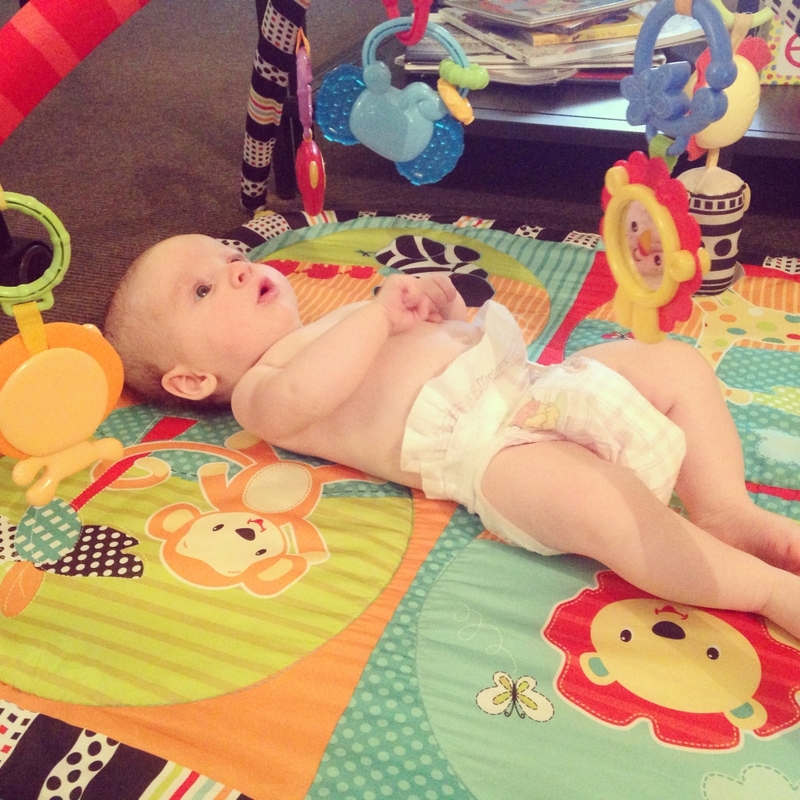 The last time I wrote about Eleanor was when she had just turned two months, my parents had just visited, and we were about to head to Townsville. I can thankfully say that Eleanor did amazing on her first few flights and while we were traveling. You can read more specifically about the Townsville trip here. One of the things Robbie and I did early on “to survive” was rocking Eleanor to sleep. It sounds lovely, and it was…in the beginning. Then you keep doing it because you want your baby to sleep, and suddenly, she’s gained a few pounds and your back is aching and it’s the middle of the night and this sentence could go on and on and on. So all that to say, when we got back from Townsville, we knew we wanted to break Eleanor of this habit of only falling asleep by us rocking her. It’s honestly not sustainable once they get even bigger, and Eleanor is a pretty petite little lady. More than that, though, we were very keen to teach her the skill of falling asleep on her own, knowing it would be beneficial for her in the future. We’ve tried a bunch of different things, and Eleanor has gotten a lot better over the last month. It’s still a work in progress, though, and we are figuring out what works for us as a family. That’s one thing that I find is SO critical to constantly remind myself – – – what works for us, may not be what works for another family, and THAT IS OK! 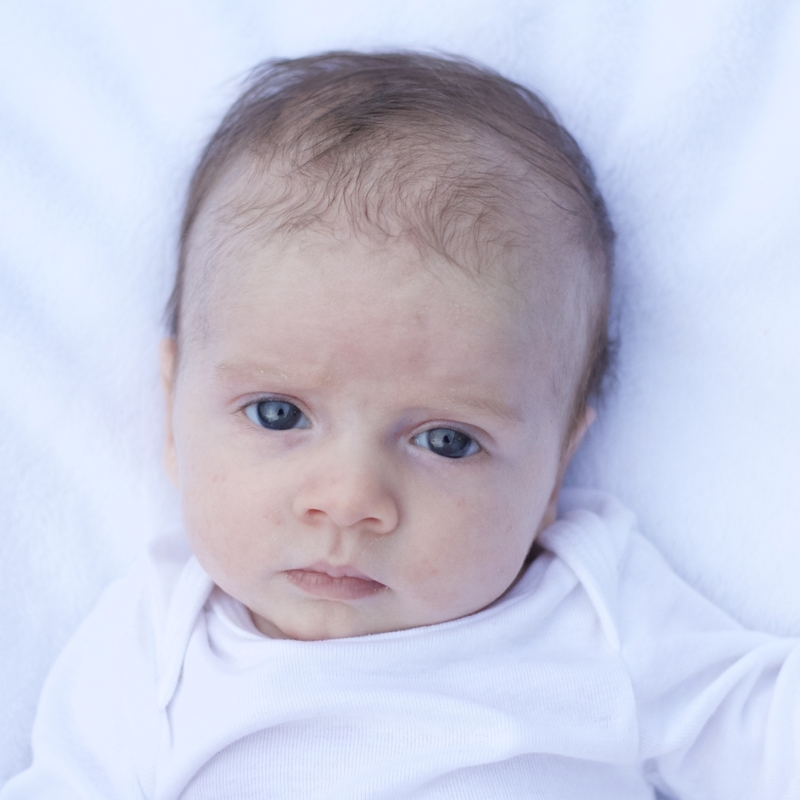 I think comparison is so easy to fall into as a new parent, and I’ve had moments where I’ve felt that. There’s one family that does demand feeding, one Babywise family, one family in between – – – they’ve found what works for them, and it’s not our place to decide if they are right or wrong. We just do what works for our family and get on with it. I am getting way off track here — back to Eleanor. She is learning to fall asleep on her own. Her nights for the most part have drastically improved since her first month when she thought nighttime was in fact the time to party! She still wakes to feed at night, but she will go right back to sleep in her cot. And my goodness, she is SO cute when she sleeps. Her cheeks are even fuller, her lips pouted out – I mean, I cannot even handle the cuteness. I could just stare at her all day long. 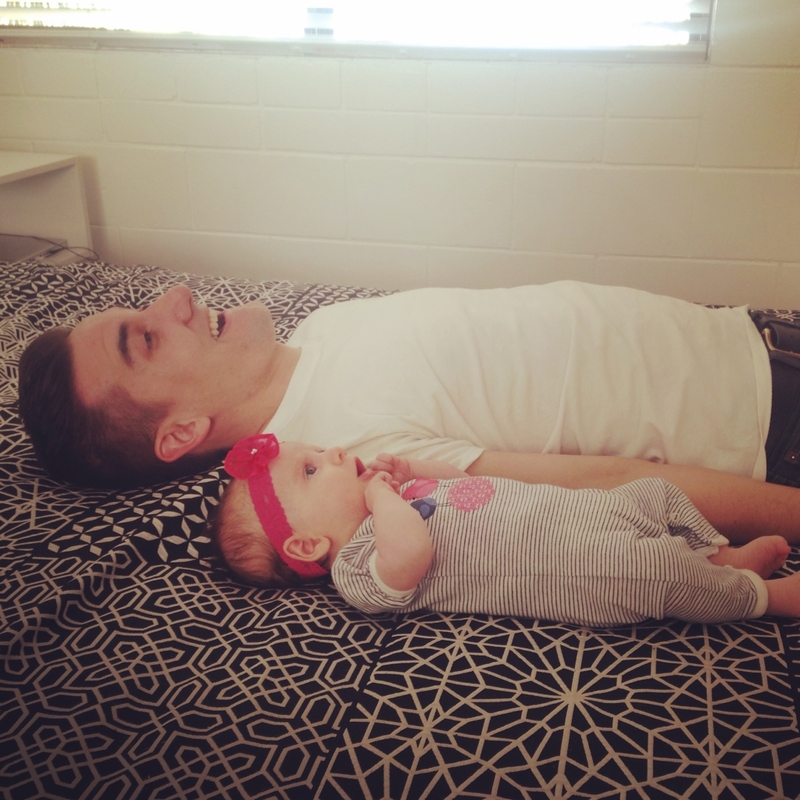 Eleanor adores her daddy. 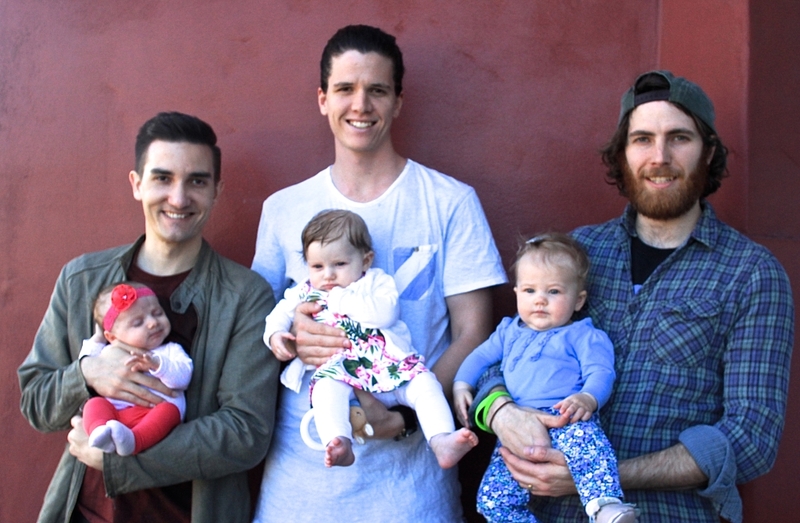 We celebrated Robbie’s first Father’s day this past month, and that was actually the day we flew to Townsville. Eleanor did so well and smiled so much. She will laugh and smile at Robbie all day long. One of my favourite pictures of them is below staring at one of Eleanor’s favourite things – the fan! Eleanor’s very first passport came in the mail this month as well. I find it incredibly cool that my baby has a passport. I didn’t have a passport until I was 18! Her picture is ridiculously cute, too. (see below) It’s as if I said, “Eleanor you can’t smile for this photo,” and she just figured it out and looked straight at the camera. So funny! She has started to discover FaceTime as we call both sets of Grandparents. She just looks at the screen or computer, giving the occasional smile for them. She’s probably so confused as to what is happening, but I am so grateful that technology will provide a way to stay close with family as we are halfway around the world. 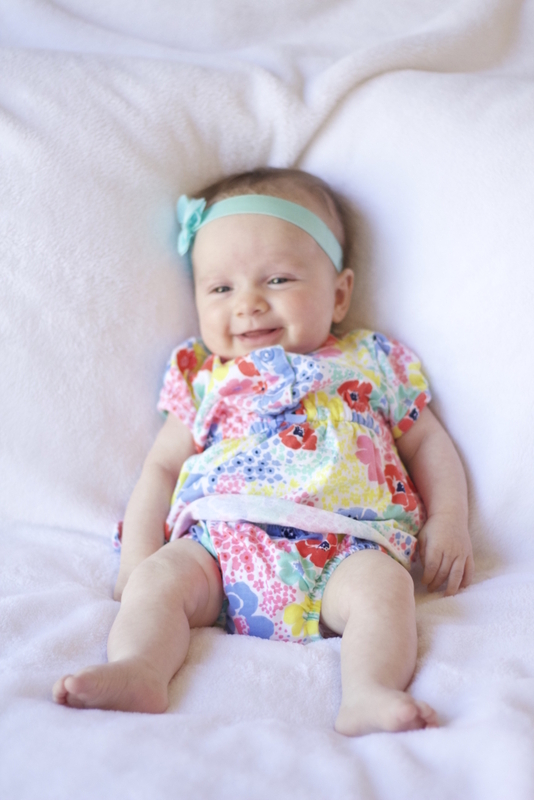 She’s in 0-3 month clothes (or ‘000’), even though the legs in most pants are a little long. She’s still very petite. 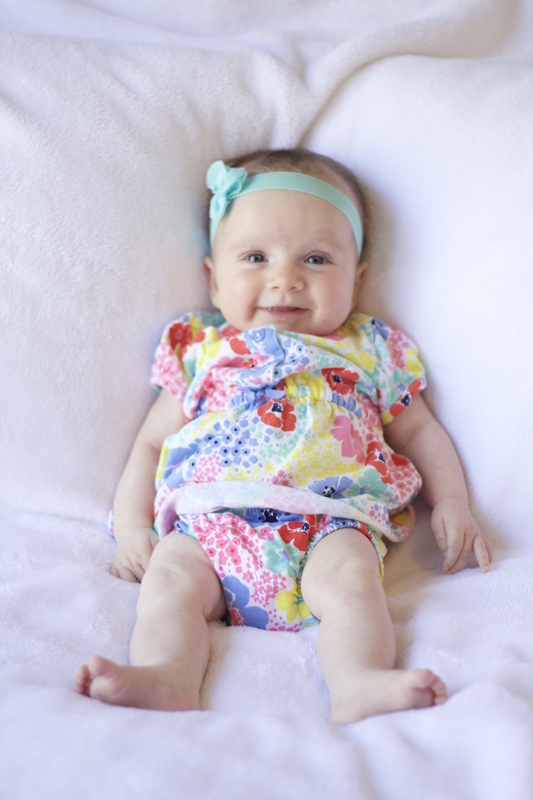 Her weight and height are in the 25th percentile, but her head is in the 70th! 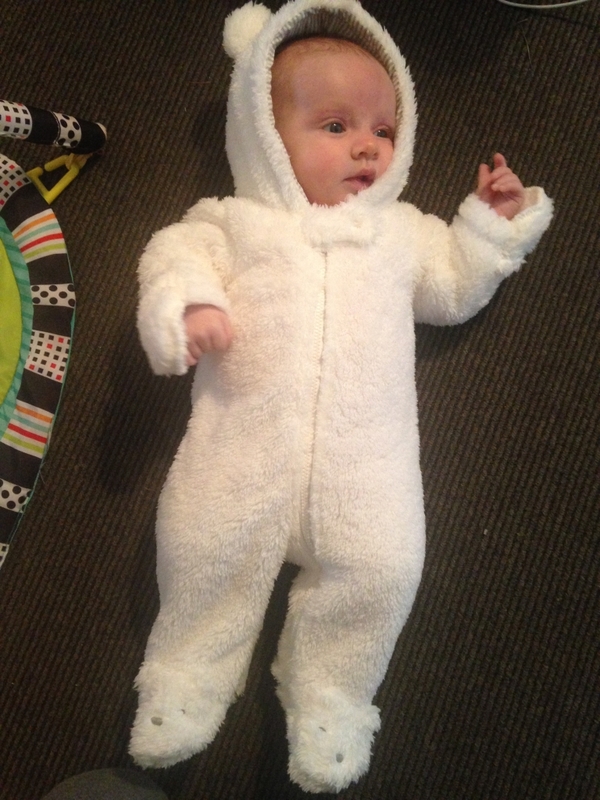 We also fit her into her bear suit this month, which is so funny because it was meant to be what we brought her home from the hospital in. It was about 3x too big when she was born! Now, we are only a few weeks away from her 4 month update, and hopefully I will be a bit more on-time with that one! 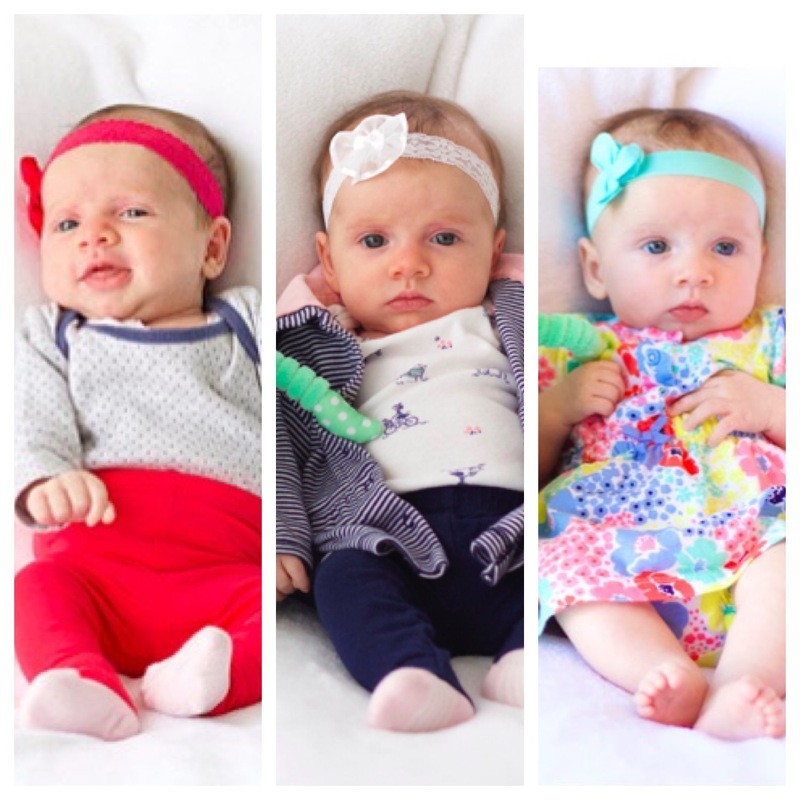 Finally, because I am such a sucker for these, here is a comparison of Eleanor at 1-month, 2-months and 3-months.